Considering an alternative to glasses? Contact lenses are becoming an increasingly popular method of sight correction and it’s easy to see why. For many people, contact lenses offer a flexibility and freedom that makes a pleasant change from full time glasses wear. 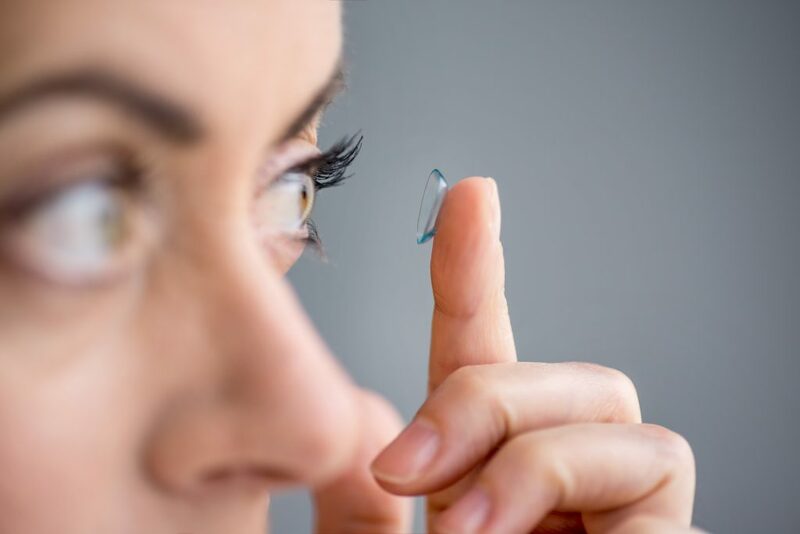 Modern contact lenses come in a vast array of designs, strengths and materials meaning a suitable lens can be found for almost anyone, including those with astigmatism, presbyopia (when extra magnification is required for close work) or high, complex prescriptions. The optometrist will assess the suitability of your eyes with a view to wearing lenses. She will discuss your lifestyle taking into account things such as your daily routine and work environment to establish what type of lenses would suit you best. We will then order a set of trial lenses to the optometrist’s specification. We will assess your vision in the new lenses, ensuring that they fit you well and feel comfortable. We will then show you how to safely insert and remove your lenses. We favour a relaxed environment with no pressure and plenty of advice and guidance. If the thought of putting in contacts leaves you feeling a little squeamish you are not alone, but this is usually swiftly overcome with proper tuition. Once we are happy that you can handle the lenses safely and confidently, you will be able to take them away to try in your own surroundings. This is a follow up appointment to discuss how you have found the lenses. The optometrist will need to see the lenses in your eyes so it’s important to make sure you have a pair of lenses to wear. Once your contact lens type has been confirmed we will issue a contact lens specification, usually valid for a year. This appointment is suitable for routine annual review or for contact lens wearers experiencing any problems. We will check your vision and the health of your eyes and ensure that your lens type is still suitable. If a new lens type is required you will need additional appointments to complete the fitting process.